When students write research papers, their instructors may want citations from historic magazine articles to be included. While there is a wealth of information available on the Internet today, the sources where many students acquire their information may be questionable. In some cases, interpretations of historic events like the role that the United States played in World War II may be biased. In other cases, the information posted on some websites may be downright inaccurate. 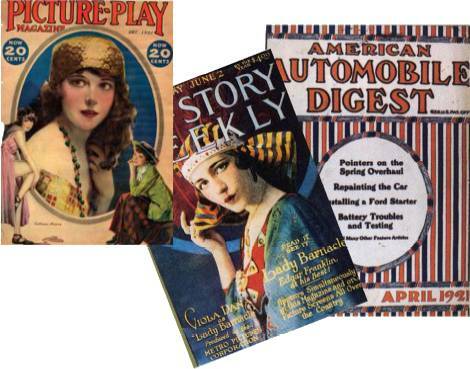 By obtaining historic magazine articles, researchers can cite the original source of any information or opinion they wish to discuss. While researchers may want to cite historic magazine articles in their research or simply read them to gain a better understanding of how society responded to an historic moment, they may have trouble locating these resources. Some colleges and universities have archives of old magazine articles. These collections, however, may not go back in time as far as the researcher needs. For example, while article collections that go back to the 1960s cover nearly 50 years of history, they will not provide insight into events in the United States surrounding World War II. Even publications that are still around today may not provide researchers with convenient access to their historic archives. Those that do may charge a substantial fee that is beyond the means of students simply working on term papers. At OldMagazineArticles.com, researchers can find a large selection of historic magazine articles about a number of momentous events, from the United States' Civil War, to the crash of the Titanic, to the history of Israel.